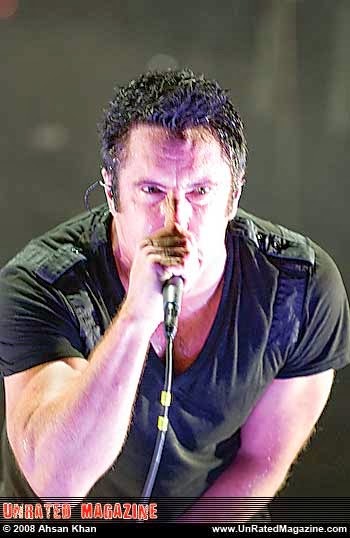 Nine Inch Nails and Soundgarden are teaming up for a North American tour that will kick off on Saturday, July 19, at Planet Hollywood in Las Vegas, NV. The co-headline run, presented by Live Nation, is their first outing together and will include shows at Red Rocks Amphitheatre in Morrison, CO (July 21), the Nikon at Jones Beach Theatre in Wantagh, NY (August 1) and the Hollywood Bowl in Hollywood, CA (August 25). Both bands will play full sets nightly. Tickets for the tour will go on sale to the public Friday, March 21, through the Live Nation mobile app and at www.livenation.com. See below for itinerary. The fan pre-sale begins today at noon local time at www.nin.com and www.soundgardenworld.com, with additional pre-sales going live on Tuesday, March 18.